A beautiful image of Comet Lovejoy by “The Upside-down Astronomer” in NZ. Clouds finally cleared about 2350 hrs here, but far too stormy for photography – still, I enjoyed a good view with a pair of Canon 10×30 IS binoculars. The usually reliable BBC weather app suggested a couple of clear hours over lunchtime in Limavady, but it was a struggle- I could see the grey clouds racing towards the Sun as I set up. 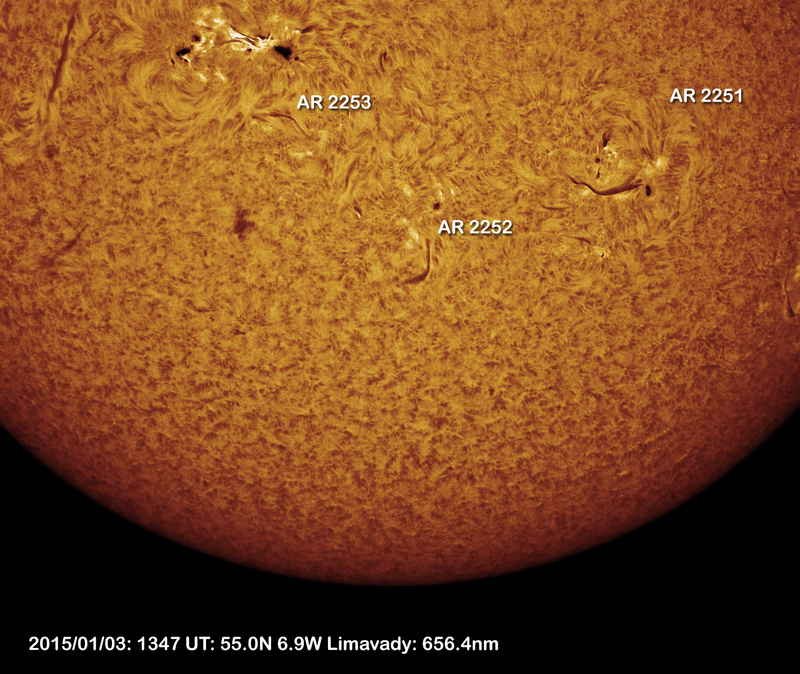 Just time for a single sub-exposure but I think I got the big sunspot group – AR 2253. So far today it has kicked up 7 x C class and 1 x M class flares. According to www.tesis.lebedev.ru/en/sun_flares.html, the bright white activity around AR 2253 is a C1.8 class flare that ran from 1337 – 1426hrs (a tiddler!). Note to self: Must try to zoom in on an AR with a Barlow lens and try and catch a few prominences on the solar limb next!